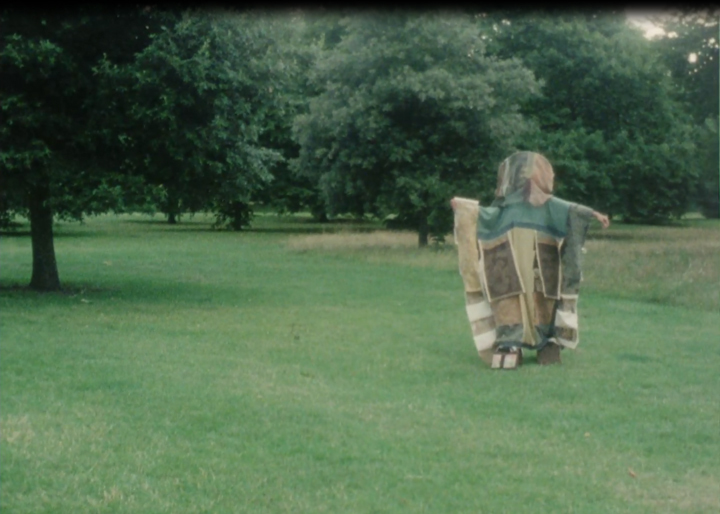 To coincide with Seasons End: More Than Suitcases, her current exhibition at the Douglas Hyde Gallery, aemi have curated a screening of works featuring three recent 16mm films by Canadian artist Tamara Henderson. Alongside those films are two additional 16mm films by Matthias Müller and sisters Ute and Detel Aurand. 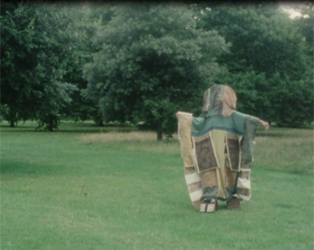 All of these films challenge our assumptions about how materiality operates in cinema, from the repurposed footage in Matthias Müller’s dreamlike opus Alpsee to the playful interaction of colourful fabric with the natural environment in Ute and Detel Aurand’s Thread Games II and the costumed performances in Tamara Henderson’s most recent film, Seasons End: Out of Body.